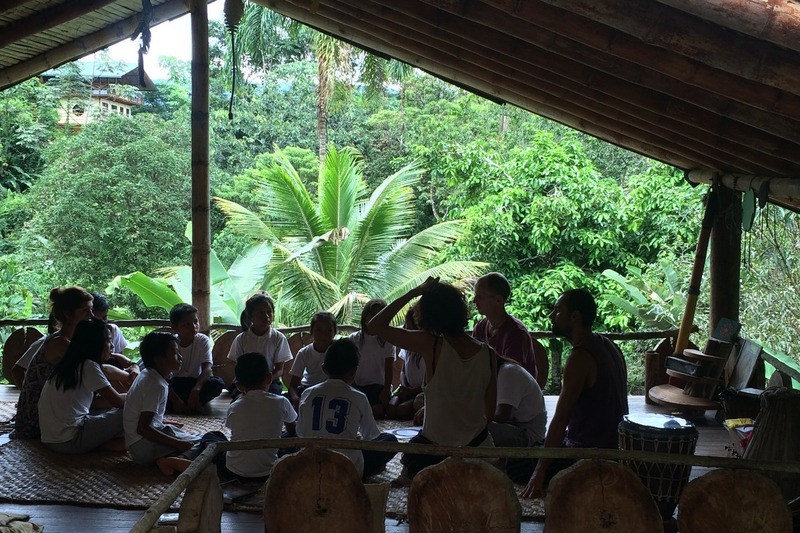 Fundraiser by Bhagavatamrita Das : Create a Food Forest in the Amazon! 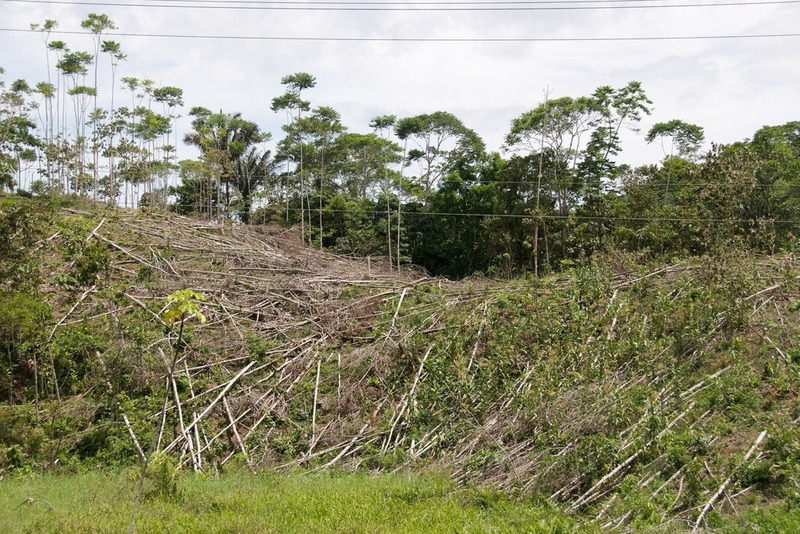 Create a Food Forest in the Amazon! Our Goal: A grassroots global movement to create the Largest Protected Food Forest in the World! Wisdom Forest began as a sterile cattle grazing land and has since transformed into an amazing permaculture forest and nature preserve over the course of 7 years, all thanks to the hard work of local staff and international volunteers. We are creating the Largest Protected Food Forest Reserve in the World! 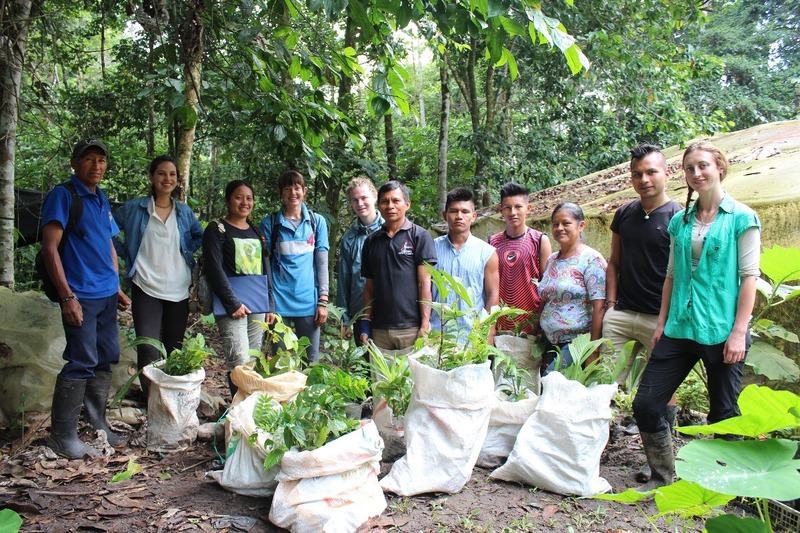 Our unique ‘Protected Food Forest Reserve´ project is based on ancient indigenous rainforest harvesting techniques and is be managed by the local indigenous Kichwa community. 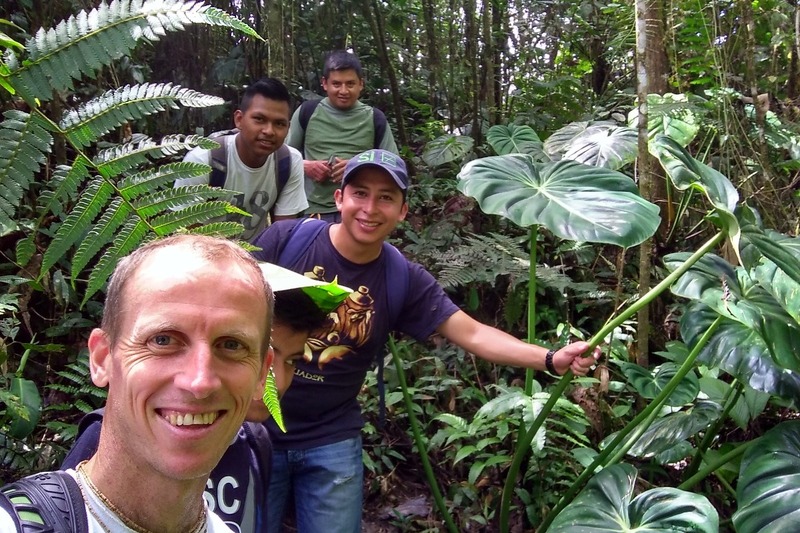 We are planting a managed forest of edible and useful trees, a true food forest, a forest of food that mimics the architecture and beneficial relationships of the ecosystem of the Amazon Rainforest. Trees are planted to stay planted- never logged. Hunting animals on the protected Food Forest Reserve is prohibited. The fruit trees create an alluring habitat for indigenous species such as Monkeys, Tapirs, Toucans and Hyacinth Macaws to return to, while simultaneously providing diverse food, medicine and materials for the local indigenous Kichwa people. Why we need YOUR help NOW! People are currently flocking to the Amazon Rainforest to cut down the lungs of our planet for timber and opening the earth for gold and oil. We need to act fast! Currently, there is a giant mining project expanding near Tena, Ecuador, ruthlessly cutting down the rainforest and contaminating the rivers with harmful pollutants such as mercury. The time is now to get up, stand up and show up for the planet and for future generations. What your contribution will fund! In the next five years we aim to save roughly 1645 acres (that’s double the size of central park in New York City), protecting an estimated 400,000 giant trees, preventing more mining projects and protecting the local town´s water source for future generations to come. The cost of the land alone is around $1,000,000 US dollars but our first step is to raise $100,000 to create a 165 acre reserve as soon as possible and then continue to grow from there. All funds collected from this campaign will go directly the creation the purchase of land, that will consequently count on the protection of the Ecuadorian Ministry of Environment as a ‘Bosque Protector’ (Protected Forest), through our Ecuador NGO, ‘Fundacion el Bosque de la Sabiduria’ (Wisdom Forest Foundation). 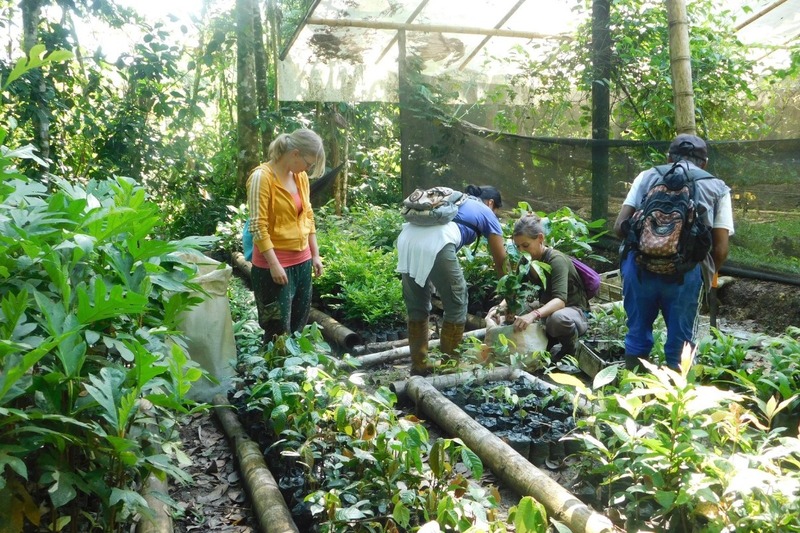 How can YOU can become a part of the Largest Protected Food Forest Reserve? · Share our crowdfunding campaign with your friends and family via Facebook, email, Twitter and Instagram. Click here for our project's webpage where you can find information about volunteering! Every time you share this campaign with a friend, you help to seed the Largest Food Forest in the World. Thank you for sharing Wisdom Forest with your community! Here is a video of the first members of Food Forest Reserve! Yes it has become a reality! You can observe our plant nursery and our volunteers in action, please help us make it grow and thanks for all your help! Here is a quick explanation of the project.. and an opportunity to meet Guillermo and Lady.. the two reserve Coordinators! Guillermo Andy was born in the Shandia community, and now aged 57 years has a lifetime of experience as a reforestation specialist handling native plants and protecting wildlife. He worked as a park ranger for the Ministry of Environment, and knows the mystical “Llanganates National Park” like the back of his hand, an incredible corner of the earth where many people dissapear trying to find the hidden treasure hidden by Ruminhualli, son of Inca King Atahualpa! Ladi Tapuy was born in the Tamia Yura community found on the outskirts of Tena. She specializes in medicinal plants and handicrafts with local seeds and has worked as a guide on the Ethno Agro-Ecological Farm in her community for over 10 years, developing reforestation projects with local flora, volunteers, writing manuals about Amazonian medicinal plants and teaching traditional Kichwa dance! We would like to inform all our supporters that due to the closure of the www.youcaring.com website we have transferred all your donations onto this site (and have been converted from US dollars to British pounds). For those that did not see are last update in youcaring, after months of collecting seeds, waiting for them to germinate and reach an adequate size to be transplanted we have already started reforesting on the existing 26 hectares! Our first members of the project, from the local community, signed up and have started planting their 108 trees alongside with our volunteers from all over the world. 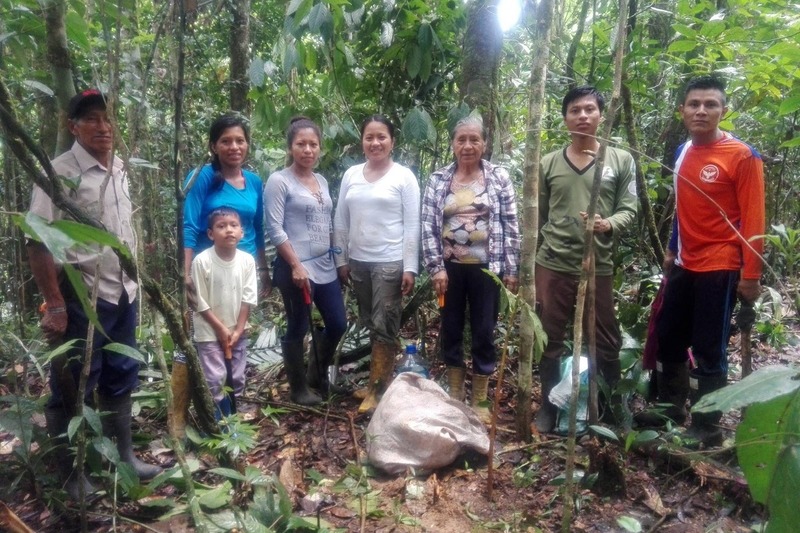 We have had the pleasure of working alongside Mélida Tapuy and her family from the Tamia Yura community, Dolores from the Shandia community and Jorge Andi Aginda has also joined the reserve, coming along with his wife and son to help make positive changes as a family! We still have a lot of money to raise... feel welcome to make another donation and help save the rainforest and create the largest food forest in the world! !